When I first read Angel’s Blood, the first book in Nalini Singh’s Guild Hunter series, I fell in love. I fell for the world she created, the story lines she weaved and the characters she introduced – especially the characters, so complex yet not overly so. I couldn’t wait to jump into the next book. Book two was very good for me. Book three was…*sigh*. But Archangel’s Blade, book four in this series, brought my fondness for this series to its original level. And with an interesting sort of, for lack of a better word, twist, Nalini managed to make me feel even stronger towards a character that always picked my interest. The first three books in the Guild Hunter series revolve around Elena and the Archangel Raphael. Their relationship and their learning to be together, as a team, as one. The little twist I speak of is that this fourth book focuses mainly on one of Raphael’s Seven and not the main couple at all. We do see them of course, but they truly are supporting characters. I found their role in this book was written perfectly, never once taking attention away from the main action and the main two characters. Dmitri has grabbed me from book one, but he is much different than I expected. There is so much depth and heartache to his character. His memories, how he is with Sorrow, how he is with the other angels and vampires and just everyone really surprised me – in a very good way. I loved him and now that I know more about him, I can’t wait to see how what I’ve learned about him translates into in the next books. Honor wasn’t what I was expecting for Dmitri, but once I saw what he did for her and how he helped her, I found they were a perfect match. Honor was kidnapped, held and tortured by vampires for two months. She is having a really had time being back to the ‘real world’ and to her job as a Guild Hunter. And who can blame her? Her back-story is heart-wrenching! Dmitri helps her find closure and helps her come out of her shell. I love how that part of the story went. It wasn’t too rushed or too much. Of course, we can’t expect Honor to just jump into bed with Dmitri as soon as she meets him with what she’s been through, even with this being a paranormal romance book. The pace of their relationship is very fitting. I was very happy to see that a character from the first book, who was taken and tortured and finally rescued, made an appearance in Archangel’s Blade. It was great to see what happened to her and to see that she has a good support system in Dmitri and his crew. What I truly love about this book, and this series, is the writing voice Nalini uses. It’s dark but not dire. It’s gritty but not overly so. It’s smooth and mellow. Even the action scenes, while very exciting, keep that smooth feel. Again, difficult to describe. I guess you’ll just have to read the series to know what I mean. But I just find it very different, unique to this series, and very fitting for the tone of these books. This book should come with a “this is a deep and emotional read and you’ll probably need to take a breather once in a while to give your heart a break” warning label. Archangel’s Blade is a wonderful addition to the Guild Hunter series. It teases at possible plot lines for future installments, makes you crave books for some of the other members of the Seven and reminds you that Nalini has one amazing writing voice and amazing character developing skills. Archangel’s Blade did not disappoint. “’Illium seems far too pretty to be dangerous.’ Dmitri’s male beauty, by contrast, was a darker, edgier thing. 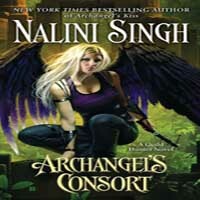 Share the post "Review: Archangel’s Blade by Nalini Singh (Guild Hunter #4)"
I agree with your review 100%, Your thoughts about it are almost the same as mine. Vicki – I have only read one of her Psy books and it was good. 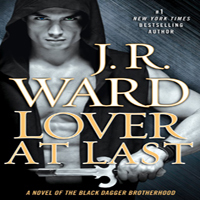 That series is your typical PNR series where each book has it’s own H/h and HEA. This one is more UF/PNR. But I love how she is throwing in other character books too. Really good series. I guess I just wish there had been a slight alteration that would have made it different from what it had to be. Man, did that even make any sense? COMPLETELY!!! I felt the exact same way. The whole time I was reading the book, I was making my own alternative ending because I just didn’t want it to be the “obvious” one.